It is very important that we all understand that the gospel is a historical event. Gonzales said, “The Good News Christians have proclaimed through the ages is that in Jesus Christ, and for our salvation, God has entered human history in a unique way.”2 One of the things that we discussed this week was Galatians 4:4 which says, “But when the fullness of the time came, God sent forth His Son, born of a woman, born under the Law.”3 All of human history from our beginning and all of history since points to a specific time in history when the eternal Word became flesh and dwelt amongst us in the person of Jesus, the Christ, the Son of God. We even mark time today, because of this event in human history. All things including culture, language, trade, and even the arts were sovereignly orchestrated at that particular time and place in history for the gospel message to spread. Today in my Sunday School class we discussed the last beatitude from The Sermon on the Mount. “Blessed are you when people insult you and persecute you, and falsely say all kinds of evil against you because of Me. Rejoice and be glad, for your reward in heaven is great; for in the same way they persecuted the prophets who were before you.”6 Our class room lead by Steve Mills7 has a very open discussion forum. I did not speak in class today, but instead listened to my modern American brothers and sisters in Christ’s discussing persecution. There were three Roman persecutions mentioned by Gonzales in our reading this week: a general persecution demanding worship of the emperor,8 persecution under Nero,9 and persecution under Domitian.10 During the Domitian persecution the book of Revelation was written.11 Our very knowledgeable Sunday School teacher mentioned the general persecution and the Neronian persecutions. Also, the earliest persecution by the Jews was discussed regarding the death of Stephen.12 The doctrine and practice of the church today was formed during the persecution of our brothers and sisters in Christ. Jesus words in Matthew 5:11-12 prophesied the persecution, and He taught his disciples how they should react to it when persecution comes. The one who wrote those words did so during a time that persecution was happening, so that Christians throughout church history would know the command of the Lord when persecution arrives. 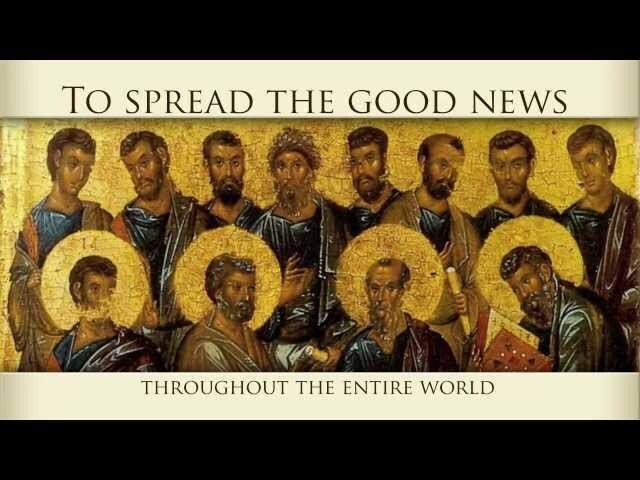 1 Scott McPherson, “The Early Church”, Church History, Biblestudying.net, accessed January, 16, 2017, https://www.youtube.com/watch?v=Ybdx0WYcNTQ&feature=youtu.be. 2 Justo L. Gonzales, The Story of Christianity, Volume I: The Early Church to the Reformation, 2nd ed., (New York: HarperCollins Publishers, 2010), 1. 4 Justo L. Gonzales, The Story of Christianity, Volume I: The Early Church to the Reformation, 2nd ed., (New York: HarperCollins Publishers, 2010), 2. 7 Sylvania Church, Tyler, Texas, www.sylvaniachurch.com. 8 Justo L. Gonzales, The Story of Christianity, Volume I: The Early Church to the Reformation, 2nd ed., (New York: HarperCollins Publishers, 2010), 43.